Posted on January 25, 2013 by admin Posted in Uncategorized	. Excuse Me But Your Wine Glass Seems To Be Missing It’s Stem! I need to start by mentioning that while we have lots of different wine glasses we only use the ones we got from the wineries we’ve visited. They come in all sizes and shapes and I find it strange that even the small glasses hold a surprising amount of wine. I also need to confess that I am extremely clumsy and have a tendency to break wine glasses. It’s a little hard to replace the winery glasses so I use a plastic wine glass. I realize that’s not correct but it’s easier than flying to California for a replacement every time I break a glass. 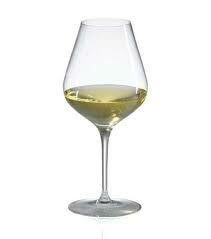 However for normal wine drinkers a good everyday wine glass is a clear tulip-shaped 8 ounce wine glass with a stem. The stem really is needed because it allows you to hold the glass by the stem and not the tulip part of the glass. 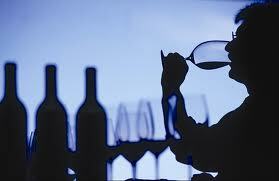 That’s important because your body temperature will raise the temperature of the wine, which will affect its taste. 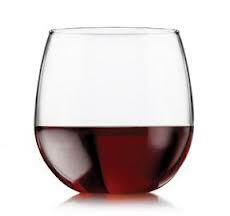 Several years ago stemless wine glasses became trendy. A couple of our neighbors always bring those to our porch parties. And I always, much to their irritation, bring up that their glasses are missing stems. 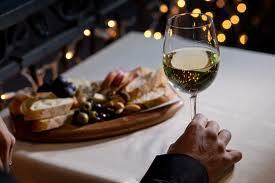 I realize that in the French and Italian countryside wine is often served in water glasses. However that does not alter the fact that body temperature will affect the wine. When using a stemless glass, hold it at the top. So your hand is not covering the wine. 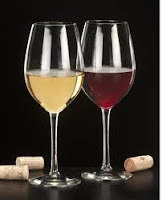 When drinking a really nice wine, clear 10 ounce glasses are best for both white and red wine. 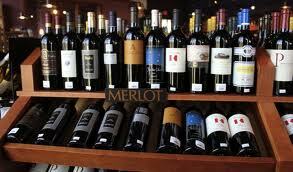 They will allow you to swirl the wine which opens its flavor and bouquet. The shape of the glass is also important. Glasses that narrow some at the top are better for white wine. 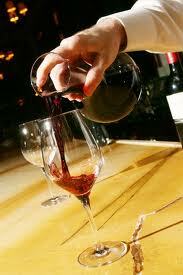 They help keep the wine chilled while concentrating the aromas. 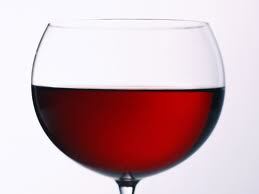 Large rounder shaped glasses are better for red wine. 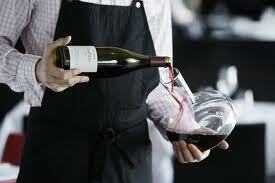 They’re designed for swirling which brings out the wines true fragrance and taste. And while I always like a bartender to give me a generous pour, wine glasses should never be filled more than halfway. And for a 10 ounce glass that means you need to keep your pours at 5 ounces. Fortunately I have two glasses that will hold a bottle of wine! You can now follow The Neighborhood Wine Porch Party on Facebook where this blog appears weekly as well as lisings for wine events, recipes and additional wine information. 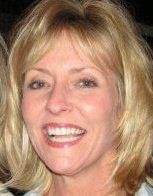 While on the page, please take the time to “Like” it and share it with your friends. 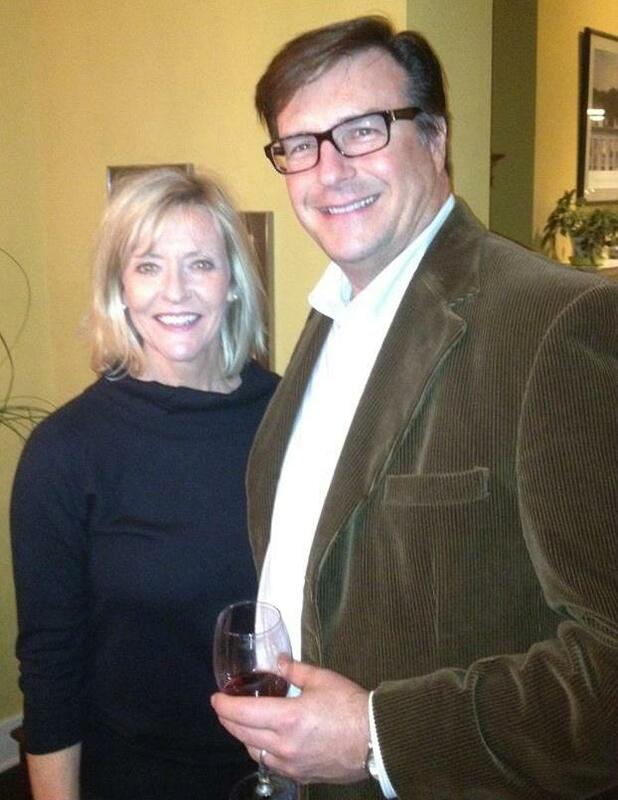 You can also follow the blog and my comments on wine on Twitter @winegonewild. Posted on January 20, 2013 by admin Posted in Uncategorized	. & That Bottle COST WHAT!!! I recently read that the sommelier is your friend. No he’s not! While they are wine experts, their job is to sell wine! Never forget that point and you’ll be in better shape to survive the restaurant wine experience. Looking at a wine list can be daunting. They either don’t give you much information or they’re as long as War and Peace! 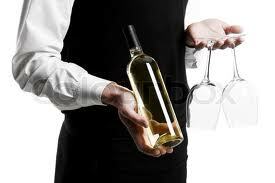 So asking the sommelier for suggestions may be prudent, but remember their job is to sell wine. This explains why when you ask about a particular bottle they seem to always recommend one that’s a little more expensive. I also find it interesting when my server comes back and sadly tells me that they’re out of a particular wine and recommends one that happens to be a little more expensive. If you don’t know the wines on the list, determine what the price would be at a store. Most restaurants have a 2.5 to 3 markup. So that $30 bottle of wine is really a $10 to $12 bottle and the $50 bottle really sells for between $17 and $20. Unfortunately it also means that $20 wine is really an $7 to $8.00 bottle. 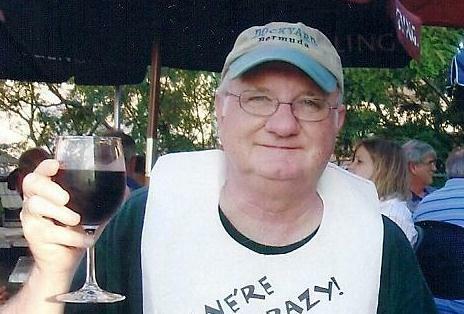 Now our friend John thinks more expensive wines have only a 2x markup. If he’s right that means the $200 bottle really should cost around $100. Restaurants have a high markup because they make their money on alcohol sales not food. However what makes their cost even more out of line is that restaurants don’t pay retail. And the real markup is between 3 and 4 times their actual cost. So remember, next time you look at the wine list, figure out what that bottle actually cost. It won’t guarantee that the wine will be good or that you’ll like it with your meal. But it does tell you what the wine maker thought. And one final tip on buying wine in a restaurant. If more than one is going to drink the same wine it’s almost always better to buy the bottle, especially if you want more than one glass. It usually only takes around three glasses to pay for the whole bottle. So for less money you’ll get more wine. And hopefully someday restaurants owners will figure out that if they sold their wine at a more reasonable price they’d sell more wine and make more money. 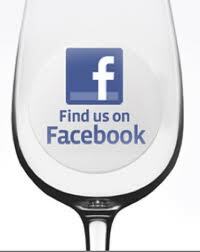 You can now follow The Neighborhood Wine Porch Party on Facebook and please take the time to “Like” it and share it with your friends. Posted on January 11, 2013 by admin Posted in Uncategorized	. A TOP FIVE RECIPE & JOHN PROPOSED AGAIN!! With the New Year I took off from blogging and went to the country. 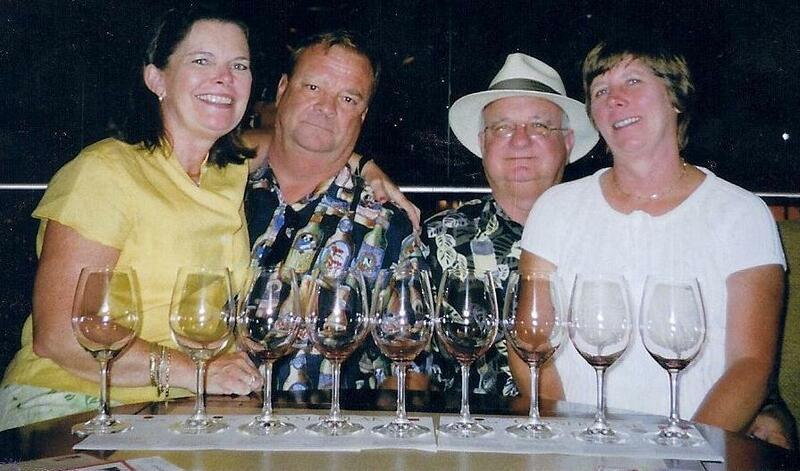 We had a great time with Gwen and Pinky and we celebrated with some really nice wine. Unfortunately I didn’t worry about what to write when I got back. 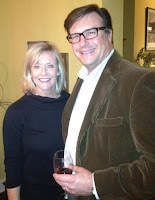 However our great friend Marcia Philips asked for more cooking with wine recipes. So I posted on Facebook that I needed wine recipes. About the same time friend and great cook Talya sent me an email asking what she could use as a substitute for tawny port in a recipe she was cooking. Talya was preparing a steak dish and Google kept sending her to white wine as a substitute. 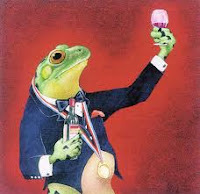 Well your humble servant explained that a tawny port is a red grape port fortified with brandy and is wood aged. They are golden brown with a hint of nutty flavor. It’s usually a sweet dessert wine which is why they were sending her to white wines. Well she didn’t need an explanation of tawny port, she needed a substitute. And I had an unopened California port, so Gale and I had a glass and I took the rest to Talya. And much to my surprise she sent me the recipe and pictures to use in my blog. So without further ado here’s Talya’s Steak with Port & Mushroom Ragout…according to John a Top Five which is saying a whole lot!!! THIS will make your eyes roll back in your head. It’s that good. John proposed to me again. It’s that good. 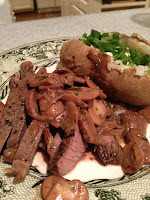 This recipe is PERFECT for Valentine’s dinner, unless of course you are a vegetarian. In that case, I recommend making the mushroom ragout and serving it over rice. It’s that good. And no, ragout is notspaghetti sauce in a jar…According to Webster, ragout is well-seasoned meat and vegetables served in a thick sauce. 1. Melt 1 tablespoon butter with vegetable oil in a heavy skillet over high heat. 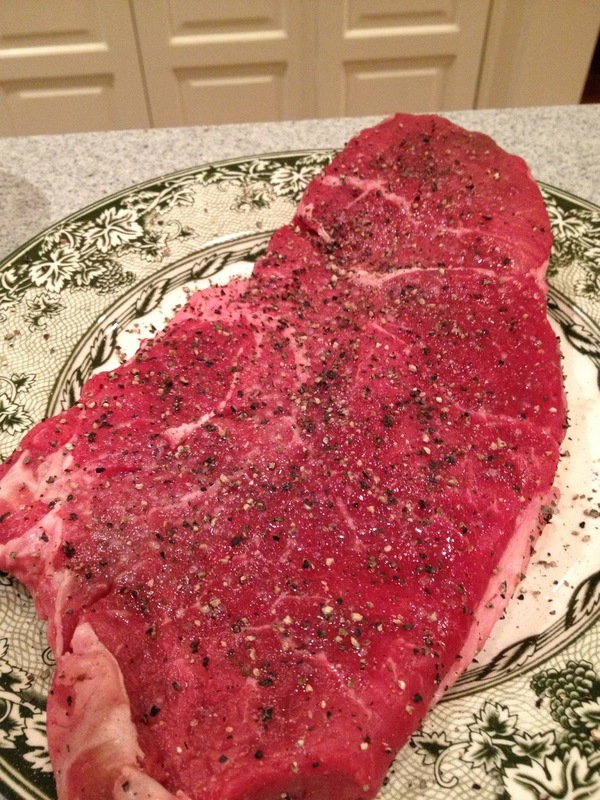 Generously sprinkle steak with sea salt and freshly ground pepper. When skillet is hot, place steak in butter and cook to desired doneness – about 3 minutes per side for medium-rare. Do not overcook. 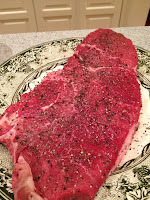 The meat will continue to cook after removed from heat…Transfer steak to a plate. 2. Add remaining 2 tablespoons of butter to the same skillet, melt over medium heat. Add shallots and sauté until tender, about 3-5 minutes. 3. 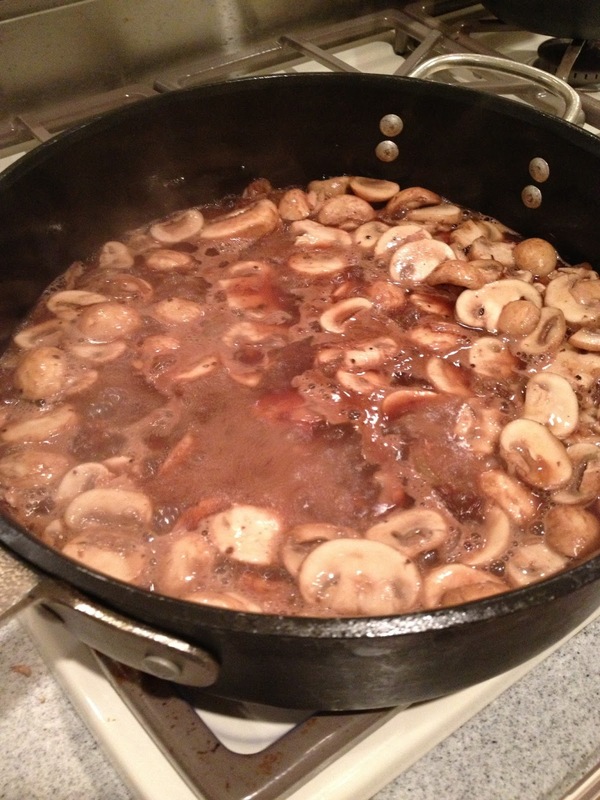 Add mushrooms and stir until beginning to soften, about 4-5 minutes. 4. Add Port and broth and bring to boil. 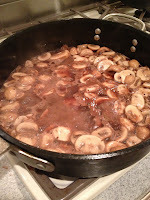 Boil until liquid begins to evaporate off and becomes syrupy, about 10 minutes. 5. 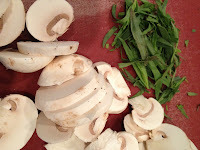 Add cream and tarragon and stir over medium high heat until sauce thickens, about 2 minutes. 6. Season with salt and pepper, if needed. 7. 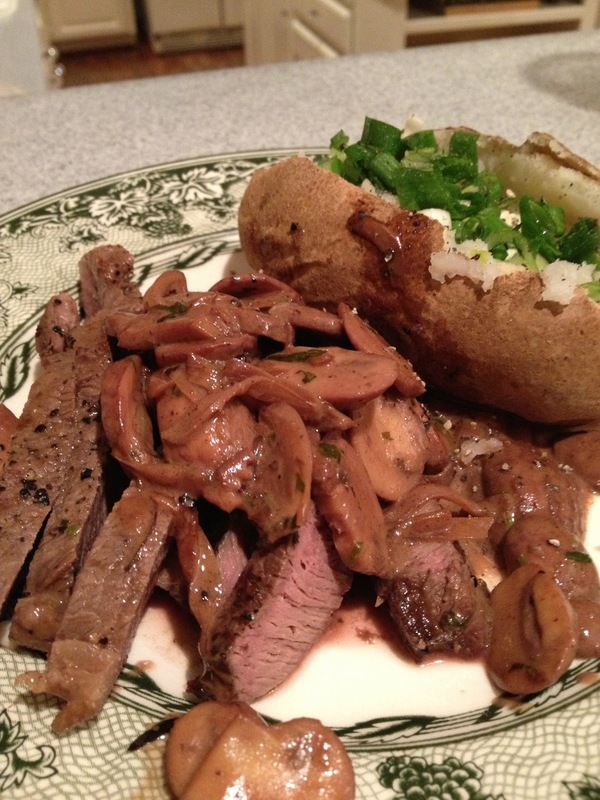 Slice steak into strips, spoon mushrooms over and sprinkle with parsley. Be sure to join and follow Talya’s very entertaining blog, grace grits and gardening, which is a wonderful read about life and growing up in a small town. She also has a facebook page for Grace Grits and Gardening. And you can follow her each week at lakewood.advocatemag.com where she blogs about the history of Munger Place and East Dallas.